Today it was my turn to host our Sunday School play group so I had a Halloween theme! 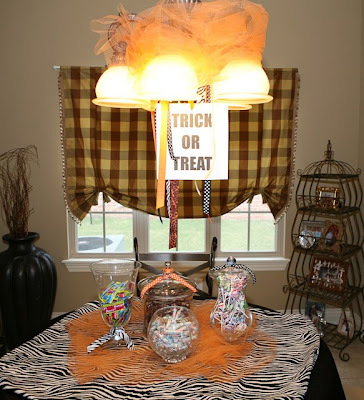 This was the candy table and when we were done the big kids got to fill up sacks with candy to take home! I'm making this bucket for Harper to carry on Halloween. I still have to paint her name but I thought it made a great place to put the spoons! 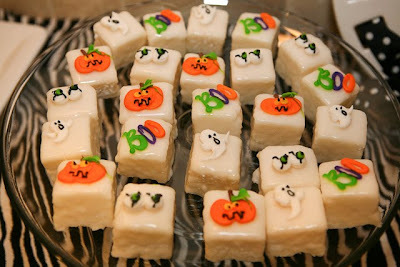 These Halloween petit fours just make me happy. And NO I did not make these. If I could do that I would open a bakery. This is Lindsey and Ben. We had 10 moms and 11 kids here today (I think). Harper and sweet Brody. When they started playing together his mom Rachel said "oh good - play, fall in love!" ha! We are always working on arranged marriages. 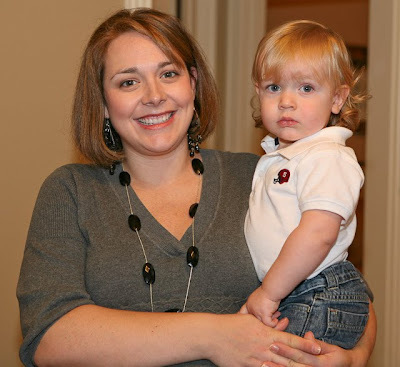 Jessica and Braxton. Braxton is getting a little sister in February! I can't wait to see her! 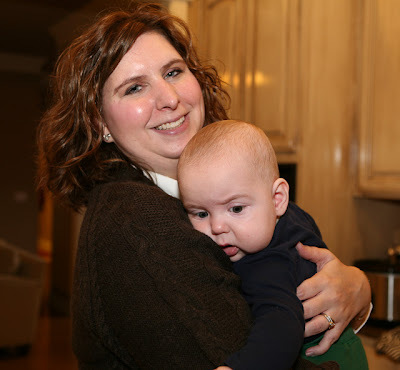 Mary Avery and John Michael. She is having a baby in just a few weeks and I can't wait to find out what it is! 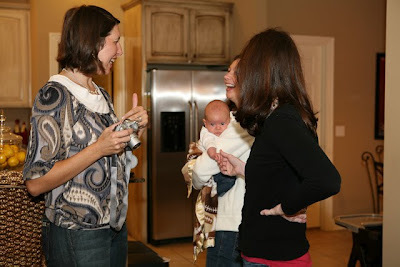 Berkli, Lindsey and Amanda doing what we do best - talking! Neely and Harper were FAR outnumbered today. There were only 2 girls and 9 boys! They had a good time together. I kept Neely after for a while while her mom had an appointment. She was so good. She just kept saying "Harper". ha! I hope they will be good friends! 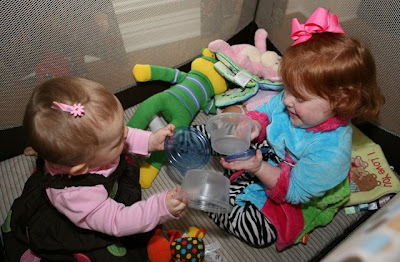 They are obviously easily entertained - playing with tupperware instead of toys. ha! The big boys wrestling - I love that all of these kids spend so much time together at church that they are growing up to be friends! The hostesses! I don't know if Harper was sure about having so many kids in her house! We dressed up the four littlest babies in their costumes and tried to take pictures which you know is not easy. Here is Ben, Brandon and Harper. Caleb was NOT loving being a panda but this picture cracks me up! Just so typical of trying to take pictures of more than one baby. Content little Ben the dinosaur, Brandon the curious giraffe, Harper the content pig and Caleb the mad panda. SO CUTE! I wanted to thank you for praying for Laurie - she is going to be fine. She went to the doctor and they sent her home and said the antibiotic was working and she would be okay! THANK YOU! There are SOOOOOOOO many to pray for and so much sickness ALREADY! I hate that it's October and I'm already so worried about sickness. I feel like we need to live in a bubble this winter. I'm praying for all of you out there dealing with anything from a cold to the flu to cancer. Adorable!!! Look at that cute piggie! Love your dress too!!! Where did you get that? As always you look cute! omg! I could just eat those babies up! They are sooo cute in their costumes. Looks like you all had a great time. Thanks for hosting today, everything was GREAT, as always! Love that last picture of the babies. Glad we got to do that, even if Caleb was a very mad panda bear!! Looks like a fun day. Harper is adorable in the piggie costume. Make lots of pictures on Halloween!Can't wait to see them. Great news about your friend, Laurie! We have prayed for her. Could your little pink piggie be any cuter?! I love her costume! LOVE the piggie costume! PRECIOUS! And, there she goes holding on to the little boys again! LOL! That girl LOVES some little boys! What a cute little piggy Miss Harper makes! 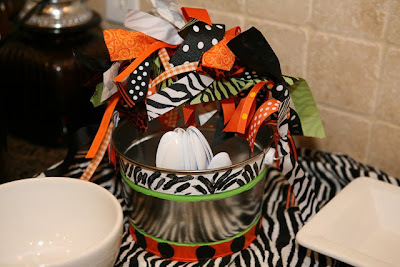 Looks like a great gathering and I love, love, love that trick or treat bucket you made! Adorable.....I may have to steal that bucket idea. So cute...fabulous table, looks like you guys had a blast !!!! I love the bucket. I've seen these and they are really expensive. Way to go crafty mom. "Caleb the mad panda" LOL! Oh my! I love Harper's pig costume!!! 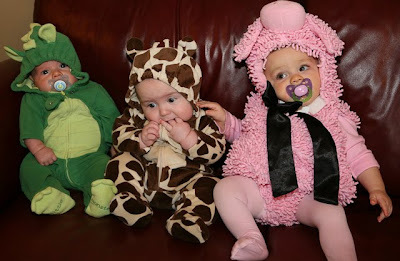 Oh my gosh, those are the cutest little costumes ever. I love the big vases and globes that you had the candy in. Definitely something I need to try. Over the next two days I will be making a ton of Halloween candy and goodies for a party I am having Saturday night. Come check out my blog for some fun! Your mom has been by a couple of times and she is so sweet. These are so cute, and your right... It's always so hard to get group pictures of all the kiddos!! Gotta love it! Looks like you had a house full of babies and little ones and more on the way , WOW, Way to go ladies, Maybe some of the new babies will be girls . 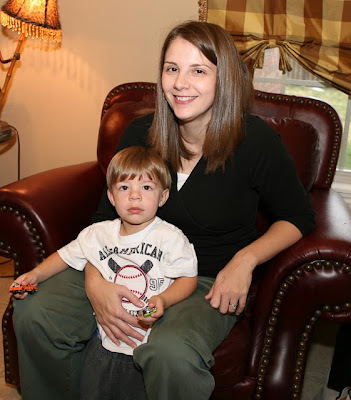 Kelly, you are so such a good mama, I know your mom and dad are proud of you , you learn your parenting skills from them ? no need to answer , I know you did. Loved your spread!!!! You always have everything so cutsie!!!! I painted Annah Brooke a bucket like that on Sunday. Its on my blog! I love how you did the ribbons all across the handle! CUTENESS Girly!!! Those costumes are to die for. Where did you get that one for Harper? Oh, I love Harper as a cute little pig. Obviously with my last name I LOVE pigs. In fact, I have a pig costume for myself. If I had known in time that you were dressing Harper as a pig, I would have sent you my pig costume to wear. I think I have a picture of me in it somewhere. If I can find it, I'll e-mail it to you. and i love both of your outfits for play group too! stylish momma and baby!! My little Emily has the exact same PIG costume! I love it! Harper looks just precious! I am with you, too, on the worrying about getting sick... I've been obsessed this whole month! Especially because I am pregnant! Maybe it will all pass early this year and we won't be worrying about it for long! I love those petit fours! They make my mouth water! And Harper's costume is too cute! So cute! I love the petit fours! That reminds me of a photo of when Tara was an infant, we have a pictures of I think 8-10 infants all around the same age lined up in costumes at the pumpkin patch. I think I need to scan it for a halloween post! I read every post, but usually there are 100s of comments so i don't bother, today it's under 30!!! Hey Kelly! 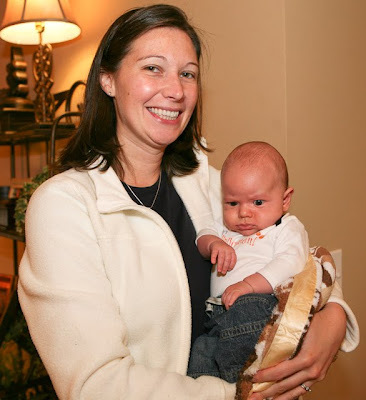 I love the babies and costumes, and how all you southern gals dress up so much for playdates! So I'm wondering, how often do you get together? I just moved to PA and am trying to get to know some people and would love to start a play group! You need to show up many more pictures of that cute as pie bucket you made for Harper and lots and lots of pictures of that sweet little piggy! Looks like Harper is patting her little buddy's shoulder as if to say, "It's ok. It'll be over soon!" harper is SO cute in her outfit! i also love your decorations! Those baby are so cute I just want to eat them up! Oh so sad to miss!!!!!!!!!!!!! I love the pig costume. Very cute! Harper is the cutest lil piggie I have ever seen!!! And I love her brown dress with the large polka dos! How cute is that!? Um so I'm kinda in love with that brown polka dot Gymboree dress Harper's wearing! It looks made for her! The little babies were just precious! Happy Halloween! The little ones are adorable in their costumes and so glad that Laurie is doing well. Continued prayers for her. Ok, that is the cutest dog costume I have EVER seen!!! I know you get tired of people asking where you get stuff, but I promise I've never been one of those, but girl, where did you get your leopard top/dress? LOL! You all look too cute and I love the pig! Cute.. cute!! Looks like Harper is loving Halloween! Oh, I wish I was in your playgroup! Love the trick-or-treat idea and the cakes are so FUN! My Annabelle has the same costume this year! :) LOVE it! Love the bucket youre making for Harper... I SO want to copy that! :) Super cute! Seriously, the pig costume - too cute!!! i love the bow and the pink tights. What a sweet little swine. :) We had our neighborhood Trick or Treat tonight and it was so fun. Sophia (almost 5) was Strawberry Shortcake. We even got red hair paint and she was so cute! Riley (14 months) got to reuse his sister's old Zebra costume and was adorable riding along in the stroller. He even got some candy - and guess who gets to eat it? 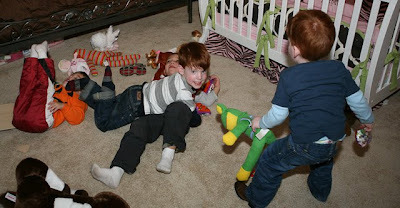 ;) Your play date looked so fun! You're teaching Harper to be a GREAT hostess! Looks like a great party! I love the bucket that you made for Harper! What a great idea! LOVIN' those baby costumes. Priceless! And so glad to hear that Laurie is doing so much better. That is wonderful news. 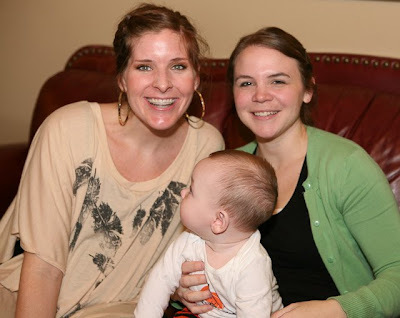 I love how you get together with the ladies from your church so often for Mom-n-Child playgroup. (Side note, one way or another you better not drink your church water or you should start if your wanting another, because ya'll have an epidemic of pregnancies around there lol). The trick-or-treat pail is turing out adorable, I hope you take pictures of the finished product. The costumes are adorable too, I have never seen a little pig costume like that before. Of course my favorite part of the pictures is that Harper is wearing my favorite Gymboree dress, I bought that same dress for my "hope to have" baby girl's wardrobe. I can't wait to share Show Us Your Life - Halloween costumes tomorrow. My boys have their Halloween Parade at preschool so I will take plenty of pictures. Everything was so cute! I just love the bucket you made Harper--gotta know how you made it! the last picture is ADORABLE!! It is even cuter/funnier that they are not all posed. love it! I so wish I had a group of friends to hang out with like that!! Consider yourself BLESSED! :) I'm sure you already do. I LOVE the pictures of all the kiddos in their costumes. Harper is the cutest little piggy I ever did see. I love her trick-or-treat bucket too! How awesome to have a big SS class with the same age children. We go to a small church so our group would be much smaller! But I LOVE those last pictures....oh sooooo cute! I came SO CLOSE to getting that piggy costume for Annabeth. It's darling on Harper! so cute! love the little piggy. those little costumes are precious! what sweet babes! I want to have a playdate at your house!! Fun times! I like to read your blog, but I don't comment. This time I have to tell you the table looks fantastic and I like it. Thanks for sharing your fun table and treats with us, Kelly!! So glad to hear the good news about Laurie - praise God!! It was so nice to run into you and Harper the other day at Hobby Lobby! Your house looked great for the play date. I love Ms. Harper's costume! Have a great weekend! 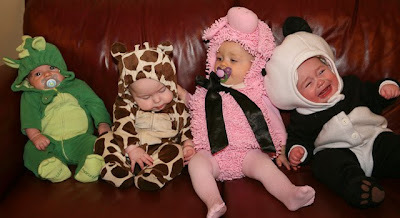 That picture of the babies in their costumes with the mad panda was the most hilarious thing I saw all day! Love the decorations! You did such a great job! Great pictures, looks like you had a fun play group. Harper's costume is adorable. Oh Kelly, I'm so glad that Laurie is going to be okay. PRAISE THE LORD! I'm sure you're all very relieved. Oh my goodness... I laughed my head off at your last picture! I don't know why it struck me funny, but it definitely did. Something about babies dressed up as little animals all sitting together (or rather 'almost sitting') and Mr. Panda baby crying... just too funny! Still laughing! Have a lovely weekend my new friend. Everyone is in my prayers as well! I love the decorations! I am so, so glad to hear that Laurie is going to be okay! Kelly, Can you remind us where you got Harper's costume? I know you told us when you first got it, but I would love to know for next year! By far, I think those babies are the cutest things I have ever seen in my life! What a precious post. So glad Laurie is better. I love the babies dressed up for Halloween!! Too cute!!! So glad to hear your friend will be ok!! What a blessing!!! You did a nice job with the party! I Love the little piggy costume. You are right about getting pictures of more than one baby. You have to take tons of pictures to get a nice one. Glad to hear Laurie is going to be fine. God is so good! I'm so glad Laurie is going to be okay! The decorations are adorable and I love all the pics. Harper's a doll! The mad panda picture is PRICELESS!! Love Harper as a squiggly piggy! My twins plus daughter are THE THREE LITTLE PIGS!! all in the same costume, our three are two years and under! God bless! What an adorable picture of them lined up! These are adorable pictures! Would you mind sharing your paint color? I LOVE it!!! Harper looks like such a big girl in her costume next to the little babies. I love the picture where she has her hand on the little giraffe's shoulder...so cute!!! Love it! You are so creative with decorating! It was good to see Vonda in the pics. I haven't seen her since High School. She actually graduated a year ahead of me with my Sister. Love Harper's costume! SO CUTE!!! Love, Love Harper's Piggie costume! She is the cutest! I also love the candy bag you made her - such a great idea! How cute! I think that's cool that you have so many girlfriends with babies! Love your blog... I check it out almost every day and hope I can take as many pictures of my first baby (a boy... due Dec. 17) as you do of Harper! your table decorations are so cute and your little piggy is even cuter! i sooooo wish we could get them them together for a pic and to play! their cute little piggy selves would be the cutest things i have ever seen! she is so precious, kelly! My little girl Kaytlin was the same pig as Harper. Everyone loved it. I did too. They both looked adorable in it. Get well soon! Will post pics of my little pig hopefully tonight! I just love Harper's costume! And her bucket is too cute. You are just the best at entertaining!